Cadmium Telluride is a cadmium-tellurium compound. This crystalline compound is mainly used as a solar-cell material and an infrared optical window. It is highly suitable for solar energy conversion. Cadmium Telluride is highly toxic as it contains cadmium. Purified cadmium and tellurium is combined in stoichiometric proportions in order to produce Cadmium Telluride. The reaction is done in an evacuated Vycor tube. Thin films of this compound accumulate between Aquadag electrodes in the Dewar‐type tubes. The formula for this crystalline compound is CdTe. 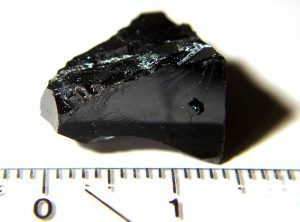 Appearance: it is a black crystalline powder. Solubility: This is an insoluble material. Molar Mass: The molar mass of this substance is 240.01 g/mol. Melting Point: It has a melting point of 1092 °C. Boiling Point: Its boiling point is 1130 °C. Density: The density of this compound is 6.2 g/cm3. Vapor Pressure: Its vapor pressure is 0.4 mmHg at 760 °C. Crystal Structure: It has a zincblende crystal structure. Band Gap: The band gap of this compound is 1.44 eV (at 300 K, direct). Thermal Conductivity: Its thermal conductivity is 6.2 W/m·K at 293 K.
Specific Heat Capacity: The specific heat capacity of this crystalline compound is 210 J/kg·K at 293 K temperature. Thermal Expansion Coefficient: 5.9×10−6/K at 293 K.
Solar Cells: It is used for making highly efficient and low cost thin film solar cells. Its physical characteristics are ideal for this purpose. These cells usually use the n-i-p structure. Around 6% of the total solar cells installed in 2010 use this compound. The band gap of this compound can be easily perfected using various low cost methods. In 2010, this material was used for producing around 1.5 GWP solar cells. Increasing use of Cadmium Telluride in solar cells can result in a dearth of Tellurium which is one of the rarest elements found on earth. Infrared Detector: It is alloyed with mercury for making infrared detector materials. Cadmium Telluride-zinc alloy is excellent for solid state gamma ray and X ray detector. Small amounts of zinc are used for making Cadmium zinc telluride alloy. Optical Windows and Lenses: It is sometimes used as optical materials for infrared optical windows and lenses. However, this application is limited due to the toxicity of this compound. Earlier, this compound was marketed under the trademarked name “Irtran-6” which now obsolete. Electro-Optic Modulators: Its electro-optic coefficient of linear electro-optic effect is the greatest among all II-VI compound crystals. This makes it useful in electro-optic modulators. Radiation Detectors: Cadmium Telluride is doped with chlorine for the purpose of using it as a radiation detector for Alpha and beta particles, X rays and gamma rays. It has various applications in the field of nuclear spectroscopy as it can function at room temperatures. The large band gap, high atomic number and high electron mobility makes it suitable for making high performance X ray and gamma ray detectors. 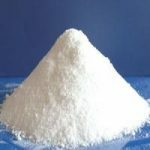 There are some advantages and disadvantages of using this crystalline compound. The advantages make it highly useful in different industries while the disadvantages limit its uses in many ways. The manufacturing process is simpler than that of many other similar materials. It can absorb sunlight at an almost ideal wavelength. It captures energy at a shorter wave length than silicon panels. The abundance of cadmium is another advantage of this compound. Cadmium is easily produced as a by-product of other important metals like zinc. The Cadmium Telluride solar panels attain low efficiency levels of only around 10.6%. It is considerably lower than that of silicon solar cells. The extreme rarity of tellurium is another obstacle in the applications of this cadmium- tellurium compound. Tellurium is counted among the rarest material found in earth’s crust. This fact limits the number of panels made each year using this material. The high toxicity level of Cadmium Telluride is another disadvantage of applying it many purposes. This compound can cause serious health problems in case of inhalation and ingestion. Direct skin contact may also be harmful for humans. It is important to take necessary precautions while handling this toxic material. Cadmium is considered to be one of the six most toxic materials know to humans. It is the main cause for the toxicity of Cadmium Telluride. 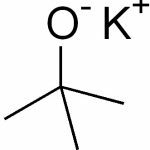 However, this compound is much less toxic than cadmium metal. There is another reason behind the toxic properties of this cadmium- tellurium compound. According to one study, the high reactivity of this substance triggers oxygen damage to living cell membrane, nucleus and mitochondria. The Cadmium Telluride films typically re-crystallize into toxic cadmium chloride solution. Eye Contact: It can cause severe eye irritation in case of direct eye contact. One should remove any contact lenses and flush the eyes with plenty of lukewarm water at least for 15 minutes. It is important to get immediate medical assistance. Skin Contact: Victim should immediately wash the contaminated area with a disinfectant soap and plenty of water. The infected clothes and shoes should be removed and washed properly before re-use. Prolonged or repeated exposure can even cause dermatitis. One should obtain medical attention immediately. Inhalation: Accidental Inhalation can cause chest pain, cough, irritation of the respiratory system and weakness. The victim should be removed to fresh air. Tight clothing such as collar, belt and tie should be loosened. Oxygen or artificial respiration should be provided if the victim is experiencing breathing difficulty. Performing mouth-to-mouth resuscitation can be hazardous for the person providing the aid. The tellurium content can cause garlic-like odor in the breath and perspiration in case of acute exposure. It can also cause dry mouth, loss of appetite, sleepiness and nausea. Severe inhalation may even result in pulmonary edema and death. Immediate medical attention is required. Ingestion: Accidental ingestion of this toxic material can cause vomiting, diarrhea, abdominal cramps and nausea. Acute ingestion may also cause garlic-like odor in the breath and perspiration. It is not advisable to induce vomiting without proper medical guidance. The victim should drink 1 to 2 glasses of water to dilute the toxic compound. One should never give anything by mouth if the victim is unconscious. It is important to obtain medical aid as soon as possible. NIOSH approved lab coat, dust respirator, protective gloves and safety goggles should be used for proper personal protection. It is a non-flammable substance. However, it decomposes and emits toxic fumes when heated. Firefighters should use proper fire fighting gear and protective clothing and full faced self-contained breathing apparatus while extinguishing a fire around it. It should be stored in tightly sealed containers in cool, dry and well ventilated areas. The spilled material should be covered with dry sand to prevent it from spreading in a wider area. The spillage should be transferred to a labeled and tightly sealed metal container. The spillage area should be washed properly with soap and water. One should consult the local, state and federal laws in order to dispose of this toxic compound. Cadmium and tellurium are much more affordable compared to the solar cells and other Cadmium Telluride devices. However, tellurium is not as easily available as cadmium. Cadmium Telluride is among the most useful compounds used in various industries. The advantages offered by this crystalline compound make it useful for many applications. Despite the disadvantages, it is widely used for various purposes.